On a little jaunt to Portobello Road, we decided to escape the biting cold (seriously, when is Spring going to arrive?) and have a spot of lunch at Taqueria. You wouldn’t go there for a romantic meal or a special occasion, but for a tasty and satisfying lunch, it’s just perfect. We decided to order a few tacos (that way you get to try more stuff) and a couple of sides to go with them. 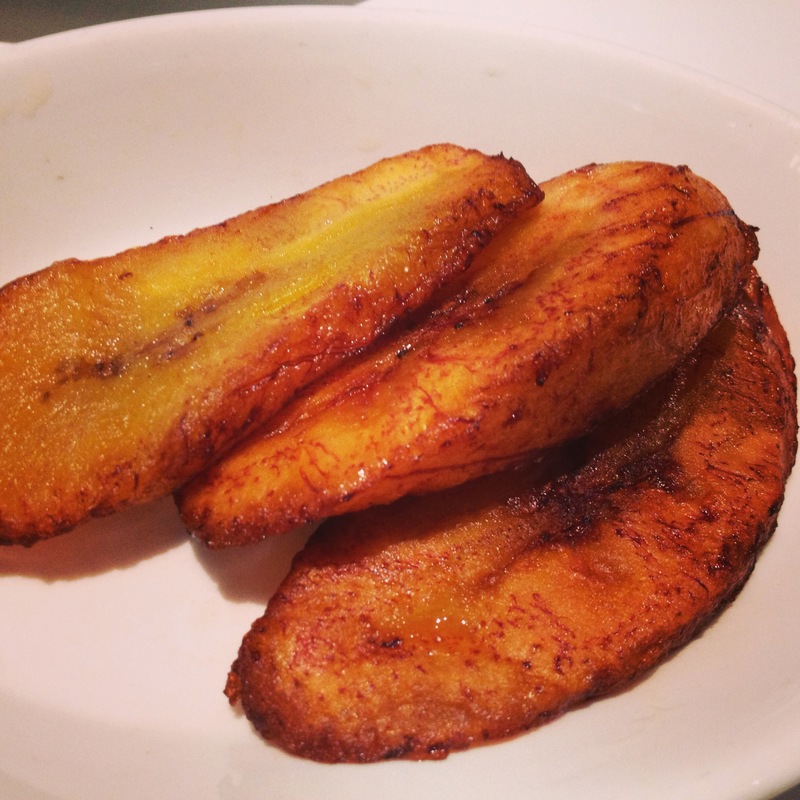 Plátano frito – Alex was a little hesitant about this one (he HATES bananas) but they were delicious. They turned out to be his favourite dish! 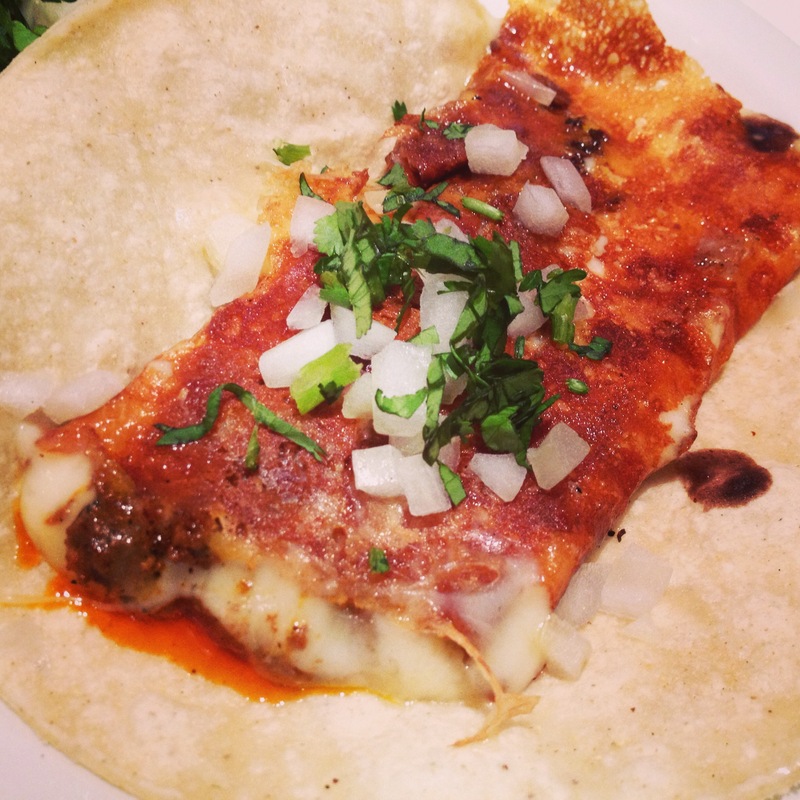 Gringa – pork & melted cheese sandwiched between two corn tortillas. These were my favourite, mostly because of the cheese. We also had Choriqueso tacos and Frijoles de la olla (black beans topped with crumbled cheese). We’re bad bloggers and ate them before we could take a photo, but rest assured they were both delicious. All in all, an excellent lunch destination. I’d like to go back in the evening and sample their extensive range of tequila and mezcal. 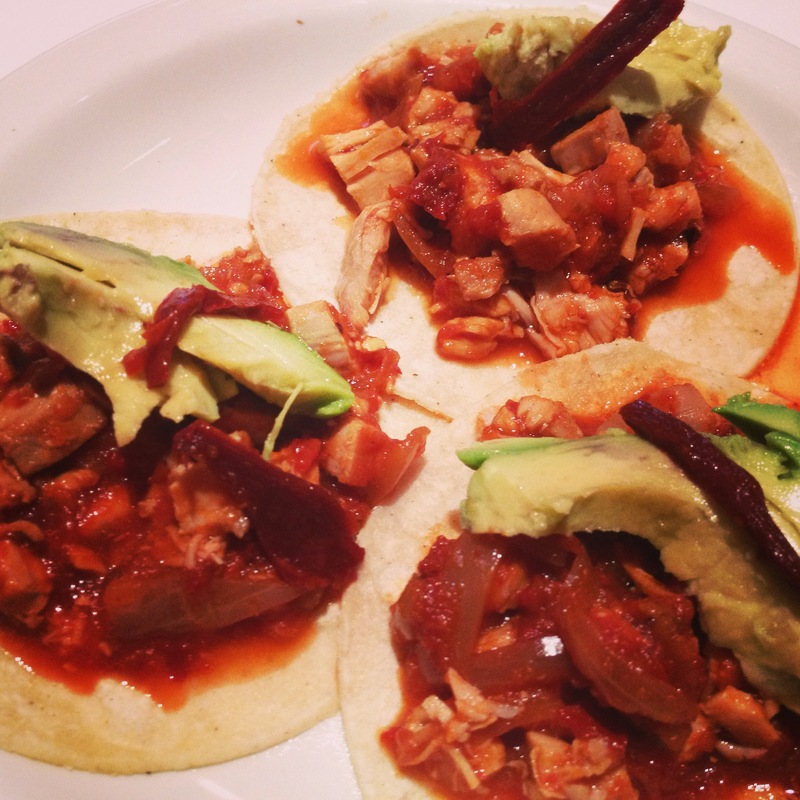 They also sell some of the produce they use, so if you fancy whipping up your own Mexican feast, you can!